I'm doing a workshop for a Hen Weekend on Saturday, and thought I'd make a little card for the bride to be. 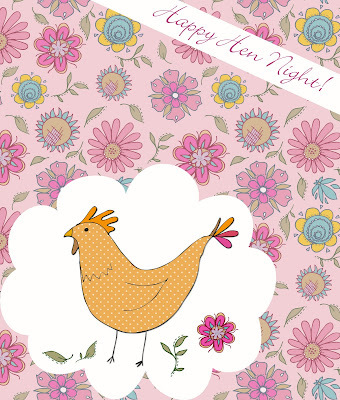 I found it quite hard to draw a hen so will have to get practicing a bit more for Easter related patterns! Have a lovely weekend everyone!